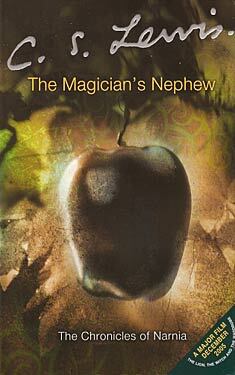 If you liked The Magician's Nephew you might like these books. When Digory and Polly are tricked by Digory's peculiar Uncle Andrew into becoming part of an experiment, they set off on the adventure of a lifetime. What happens to the children when they touch Uncle Andrew's magic rings is far beyond anything even the old magician could have imagined. Hurtled into the Wood between the Worlds, the children soon find that they can enter many worlds through the mysterious pools there. In one world they encounter the evil Queen Jadis, who wreaks havoc in the streets of London when she is accidentally brought back with them. When they finally manage to pull her out of London, unintentionally taking along Uncle Andrew and a coachman with his horse, they find themselves in what will come to be known as the land of Narnia.